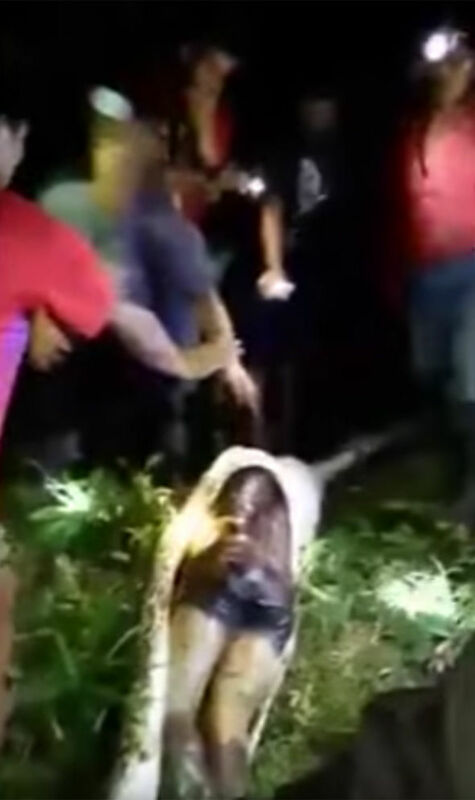 A MAN who went missing from his village has been found inside the body of a SNAKE. Akbar Salubiro, from a remote Indonesian village on the island of west Sulawesi, went missing on Sunday night, but turned up a few days later, deceased and in the belly of a snake. 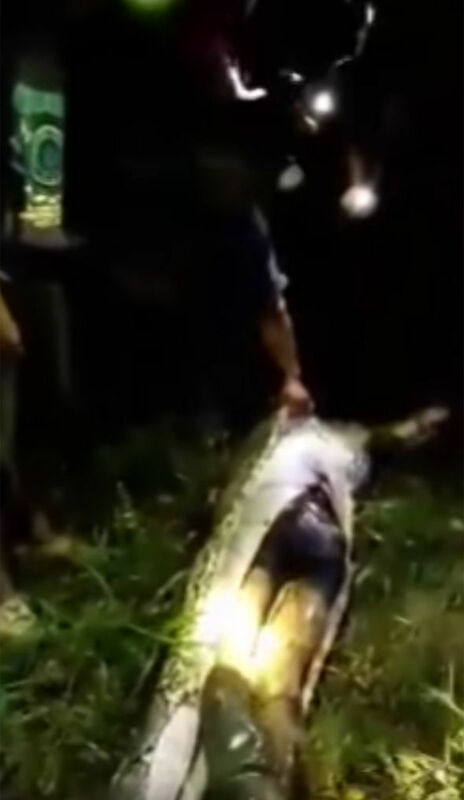 Gruesome footage shows locals cutting open the body of the giant python only to reveal the 25-year olds lifeless body. It is understood that Mr Salubiro had left his home to harvest palm oil when he met his gruesome end. Locals reported hearing screaming on the night. 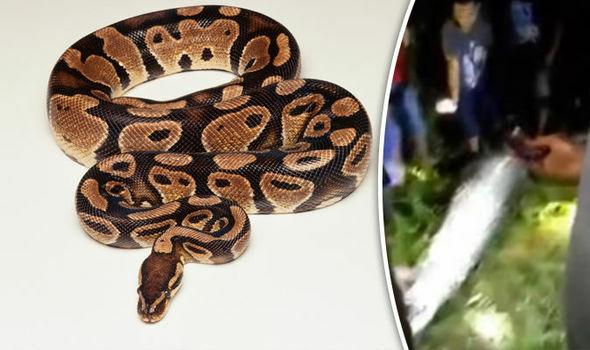 Days later, the family went out to search for the young man, where they found a stationary python with a large bulging belly. 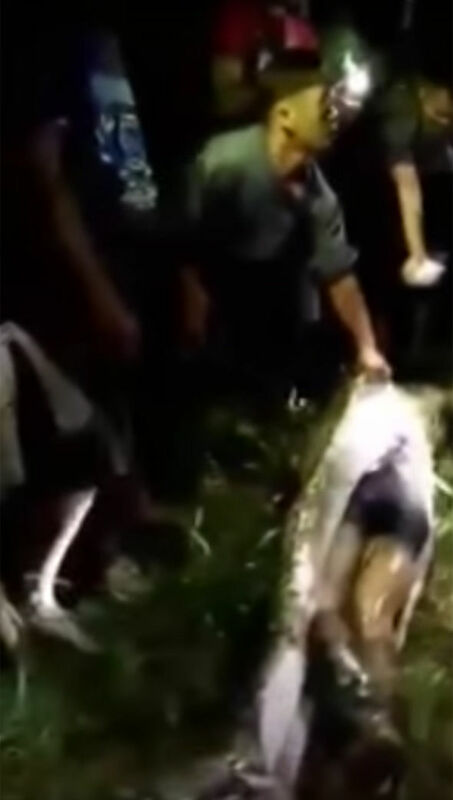 The residents immediately cut the snake open, where they were greeted by Mr Salubiro’s body. Local resident Mashura told the BBC: "They didn't find him (Akbar), but the villagers saw an unmoving python in the ditch. When the snake was captured, the boots Akbar was wearing were clearly visible in the stomach of the snake.